He may have limped across the finish line, but nonetheless, the results are in. 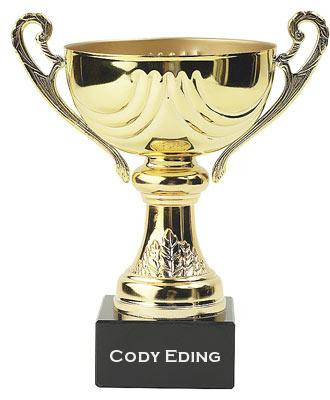 Your 2009 Sunny and C Show NFL Picks champion is (*drumroll*): CODY! Though he finished with back-to-back 9-7 performances, Cody was solid all season long. His 168-88 final record puts him in front of some "professionals" (*cough* Mike Golic we're calling you out *cough*). Can you tell Cody is writing this? We will have details for our NFL playoff contest posted soon.